Oscar Peñas is a guitarist blest with superb technique, sublime expression and a voice of his own. All modern guitarists come from two roots of the same tree: Andrés Segovia and Charlie Christian who revolutionised their respective idioms. Later some of the acolytes of those gods developed voices of their own. Oscar Peñas is one of those. His hands seem to glide on the strings. His notes have that rolled feeling, as if they are beads on an intricate and gorgeous necklace. In this regard he is quite unique. He can also bend and twist notes to do his bidding and sound just the way the music, he so assiduously composes, demands. Thus he produces something of a pure sound, challenging the notes to have lives of their own. And this is why Mr. Peñas has become a marvelous storyteller. He “speaks,” more likely “sings” in bronzed and hushed tones that and his aural words and images have a glow all of their own. Sometimes they will bounce and swerve like hyperactive children that demand attention. And this is justifiably so as the notes and phrases and lines are devastatingly attractive. 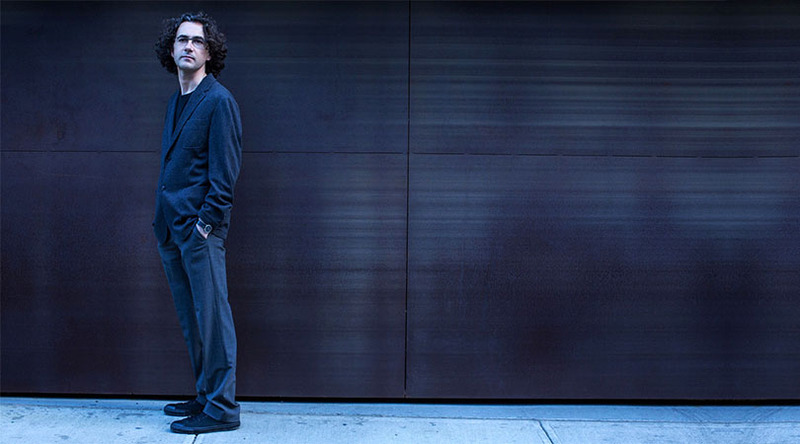 The phraseology follows no pre-determined pattern, but is made up of musical statements that flow one way and then the next as Mr. Peñas produces surprising and breathtaking inversions. 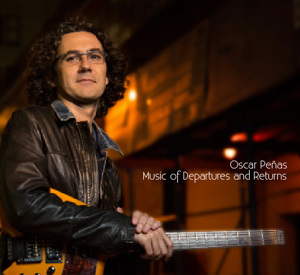 On Music of Departures and Returns, very short album indeed the music is carefully chosen to showcase a somewhat newer direction for Oscar Peñas. The music seems to have a more urgent quality to it. Also there is a certain mortality in Mr. Peñas’ voice. It is as if he has suddenly discovered that life is short and that he must produce something of importance rather soon. The album has that quality, from the title downwards. A somewhat clear example of this seen on three tracks: a gorgeous version of the classic Silvio Rodriguez’s “Rabo de Nube” sung with breathtaking beauty by Esperanza Spalding and played by Mr. Peñas. Not only is the vocal line flutteringly linear, but also melancholic. However it is paced a little faster than better known versions and this is what gives it its sense of urgency—and its beauty—with Mr. Peñas’ absolutely beautiful playing. Then there is the solo chart, “Skylark,” also a version unlike any other, except that it does recall the elementally sad vocal version by Ms. Abbey Lincoln. Finally there is the exquisite song “Paco,” and that sounds as if it was a portrait of maestro Paco de Lucia and a homage to the great Flamenco guitarist as well. Just as Ms. Spalding’s voice adorns “Rabo de Nube” so also does Sara Caswell’s extraordinarily brilliant playing elevate the music of “Paco” to a rarefied realm, making it quite hypnotic—especially in the descending motif that dogs the piece.